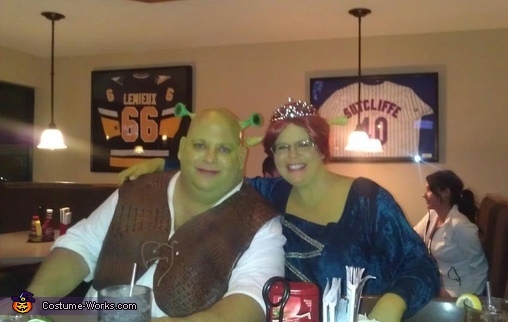 A night with Shrek makes for a great time. the are latex and glued to his head. painted all skin green with makeup. His vest is made out of a fake alligater skin leather. made to fit him perfectly. Fiona's dress is adappted from a simplicity pattern. It has a few alterations to give it the fiona look.